Professionals and Students in geology, environmental sciences, ocean sciences, geochemistry and soil sciences; also for professionals in resource management, petroleum geology and more. This handy pocket-sized guide shows how to achieve successful fieldwork on sedimentary rocks, paying particular detail to the precision and accuracy of recording detail. Various sedimentary rock-types, textures and all the basic field techniques required are clearly described. The book is structured thematically, encompassing principles, processes and products, practice and applications. 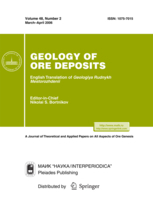 Discussion of processes that control heavy mineral assemblages throughout the rock cycle are presented by leading experts, whose key-note works are followed by specialist case studies. Distributed by Elsevier Science on behalf of Science Press. Available internationally for the first time, this comprehensive text is a large scientific and authoritative databank in China's mineral facts. 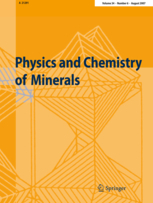 Significant refinements of biogeochemical methods applied to mineral exploration have been made during more than twenty years since the last major publication on this technique. This innovative, practical and comprehensive text is designed as a field handbook and an office reference volume.